Stand aside... I have mail! 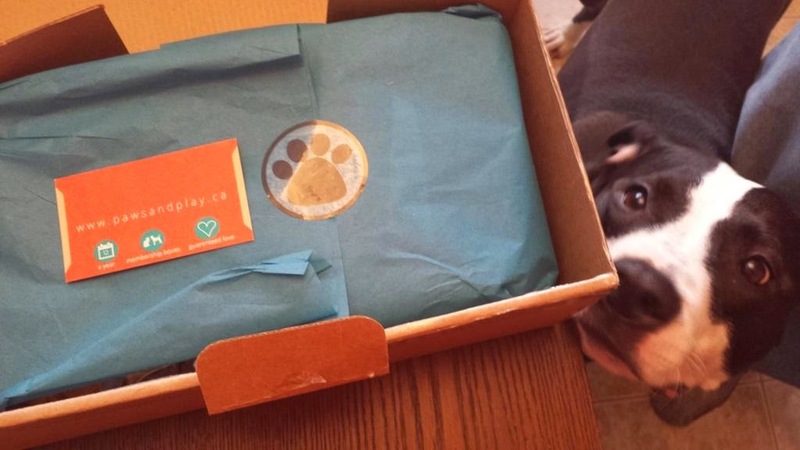 Paws & Play recently re-jigged their subscription box offerings eliminating the To Go option.They offer subscription boxes based on dog size, offer boxes for cats or a subscription for a mixed pet household. There are one-off themed special boxes too. My doggy is an AmStaff (pitty). She's a 55lb rescue dog and the best entertainment EVER! 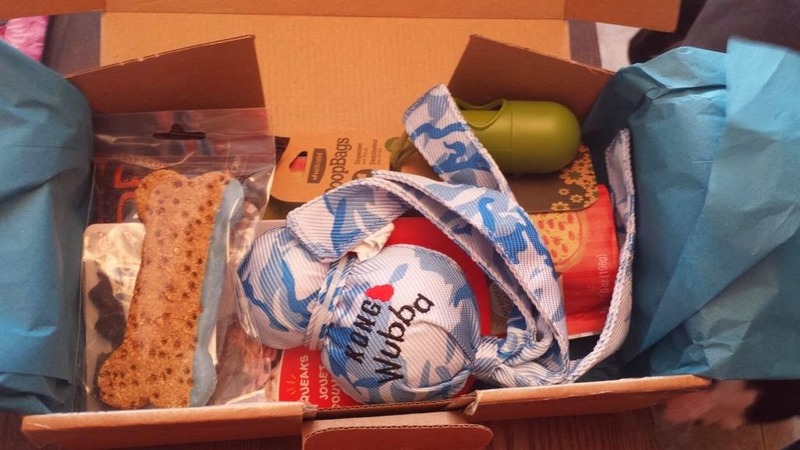 Paws & Play will be shipping membership boxes on the date you are billed, rather than on the 15th of each month. For example: if your membership payment is completed on December 28th, your membership box will be processed to be shipped on the same day (December 28th) as your payment goes through." I really like this option as most subscription boxes ship mid month so for our household there is a number of packages coming at once. I like the idea of staggered boxes arriving. My subscription renews on the 3rd so this means a box will arrive around the 8th or so. 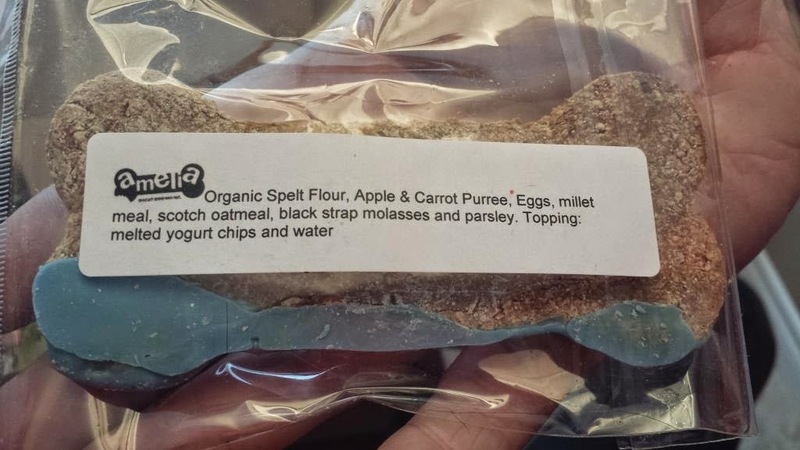 What is in the Standard Large Dog Subscription Box? Standard Box: This entry level box will include 3-4 of our most popular items, and is guaranteed to include at least one full sized treat and one premium toy! They also have a premium monthly subscription and offer the premium box option quarterly. Cost for the standard box is $19.95 plus shipping. The premium box is $29.95. Whew! That's a lot of information... Let's move on with the box! *Note: Things in quotation marks ("") are direct from other websites. 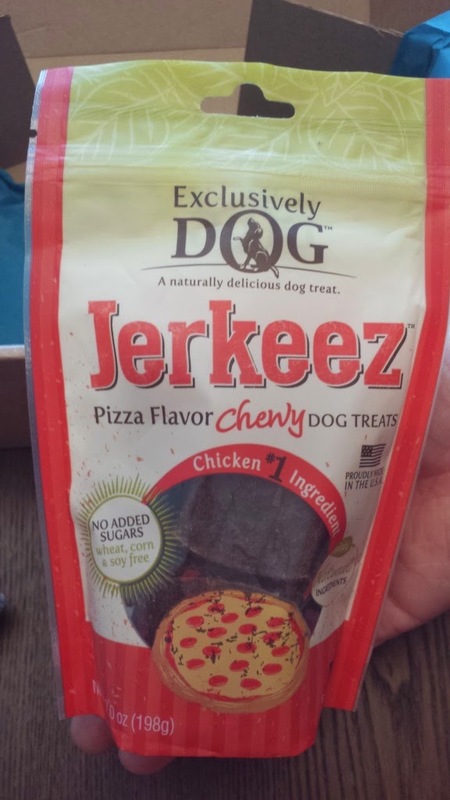 First item is the Exclusively Dog Jerkeez Pet Pizza Jerky ($8.95 in store, $6.99 online). 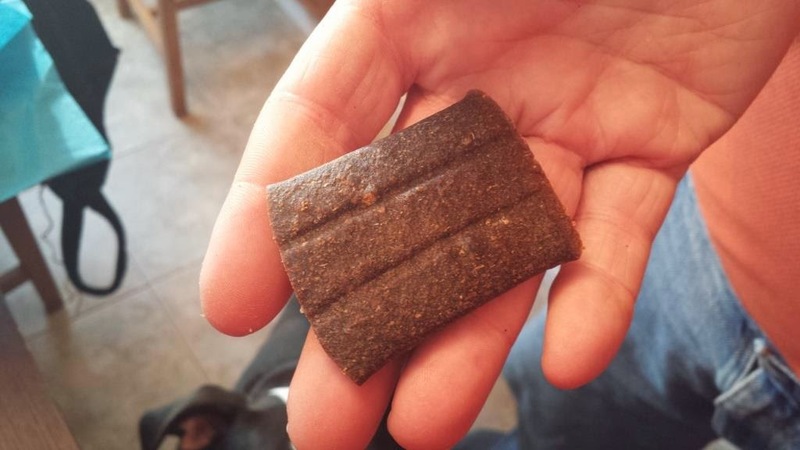 "Pizza flavor chewy dog treats are made with easy tear portions, that are great for training and portion control. Chicken is the #1 ingredient. Made with natural ingredients. No added sugars. Wheat, Corn & Soy free." 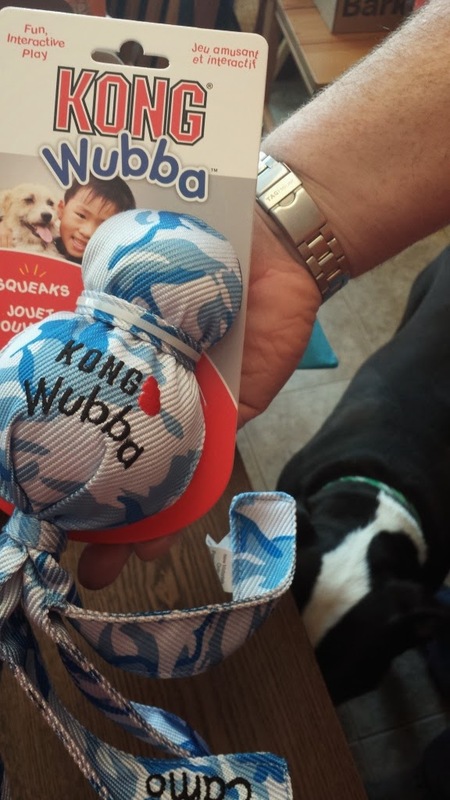 It squeaks, she can tug it. She plays with it as much as she can. 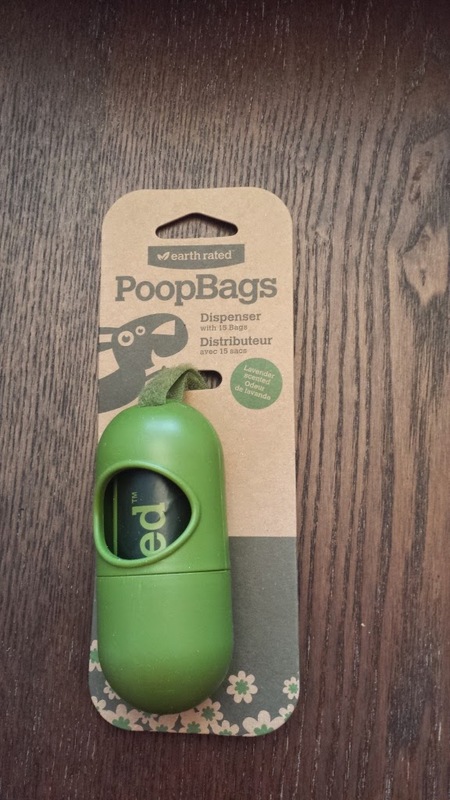 What can I say about earth rated poop bags? Poop bags are not glamourous but... they are the ones our house uses exclusively. I love the lavender scented bags (enough said), the holder and the price point. ($3.95). 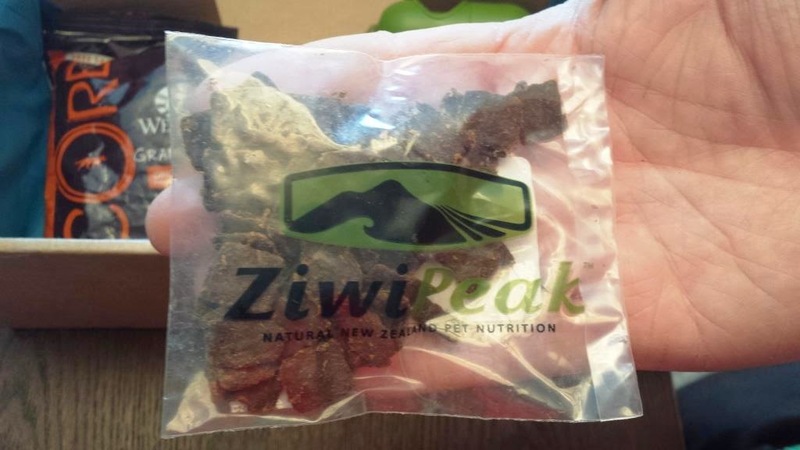 You can find these at most pet stores, Winners or online. Cookies... I love them, you love them, even the Goo loves them. I think the Amelia Yoghurt Dipped Cookie ($1.95) are going to be a hit. Last but not least are the samples. I find much of them are good for treat training and this month's options are no exception. 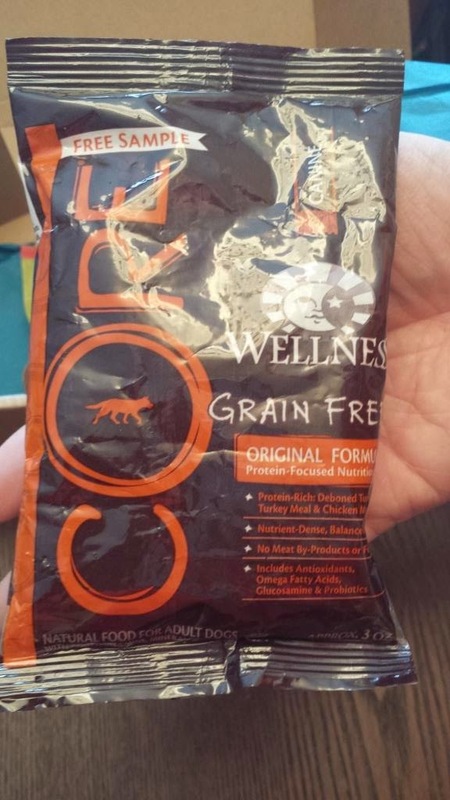 From ZiwiPeak and Wellness Core Grain Free. I think this box is an excellent value. Well worth the $19.95 CDN cost. Looking to subscribe? Use slobber15 to get 15% your order. They ship to Canada and the US. Here are my other Paws & Play reviews. Tell 'em I sent ya!